As a bloggers we all know the importance of social media. So, Google + is one of the most important Social media promotional tool for us. As we consider that G+ traffic is very important. But, how to get active with Google + profile? This is the question in every one’s mind. So, today I am going to introduce you 10 best tips to improve your Google plus Strategy and get more traffic to your blogs.As Google Plus is constantly changing , the latest change data in a week where they announced that from now on you can use any user name as it makes the restriction is removed from the user name must be a real person. What strategy of growth used for Google Plus ? Google Plus was born on June 28, 2011,in my opinion its too late when compared to the early days of Facebook (2004) and the appearance of “microblogs” with Twitter (2006). Even so, after staging late, we can safely say that Google + is one of the technically best equipped social networks but with a major unresolved i.e., the low level of participation . It currently has more than 540 million registered users, but the truth is that more than half of them do not use it. Personally I think it is wrong to force all emails from gmail had a Google + profile, will use it or not. From the psychological point of view we always try to reject any imposition, hence I think they were wrong in the growth strategy of Google Plus, they wanted to grow up too fast by applying a totally inappropriate method. Why you should give a try to Google+ ? It allows you to connect with a new audience of people. Improving the SEO of your Blog content and allows you to get more views. The contents of Google+ becoming better positioned in the search. You can participate in Google+ Hangouts that lets you talk to professionals anywhere in the world. It allows you to connect with top professionals in your industry and join communities debating and discussing the most current issues. Power and amplifies the visibility of your local business. Are you Still not convinced to use Google Plus? 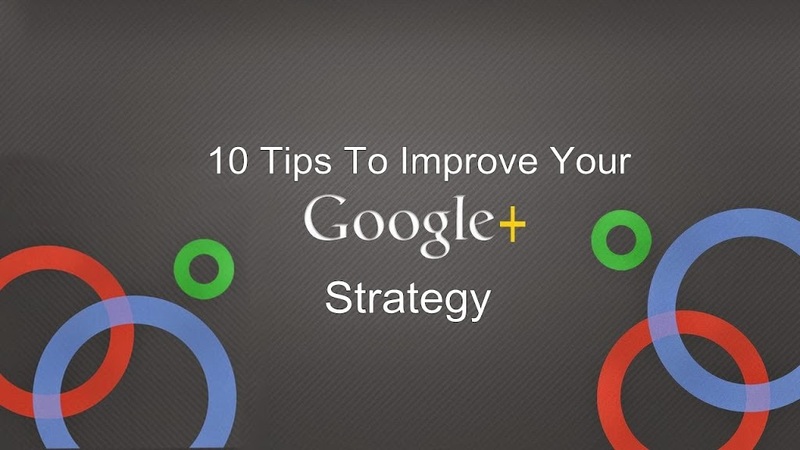 Then I will give you a 10 tips to help you optimize your Google Plus Strategy. Use the same format or communication would use in other social networks. Do not respond to comments and private messages. No thank people who share our content. Do not use a format suitable for our post. Use a personal profile as one company. Not understand the use of viral infographics large. Do not connect to other users. Not knowing the rules of Google+ . Thinking it’s an expendable social network. Not knowing the policy content and user behavior . Ignoring the target to which we are headed. Not define a strategy Google Plus. 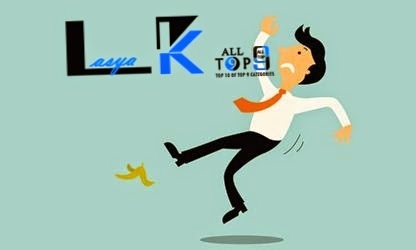 Ignorance as improving our search engine rankings and increase visits and Blog. Not to mention the source of the content you share. 2. What is the best strategy to get Google Plus followers? After my first year of using Google+, there are many strategies that have been implemented in order to get more users to their circles, this is very important aspect if we have an acceptable engagement. But the first few weeks in Google+ are very hard, and you add a lot of people waiting for those people to add back, but that does not happen. After making my first mistake in this new Social Network I decided that the best way to get my circles increase passed by the dedication of more time in this social environment performing the actions that I think which are very important to do. Publishing 2-3 high quality content every day. Participation in Communities of Google+. Consistency and coherence. If you work consistently you’ll capture the attention of a large number of people. Surround yourself with good users, always be active in the Social Network, but do it gradually. You have to be interested by the contents posted by other users, comment, reply, share, etc. Integrates Google+ comments on your blog to promote your Engagement. How do we find people to include in our circles? Analyzing the most popular hashtags for my brand and finding the most active and influential members. Accessing the communities of my themes. Using tools such as Cycle Count which helps you for better understanding about Google+ and find the best professionals in this network. This is usually the most common method and also more chosen by users. Example: Social Media, SEO, Digital Marketing, Friends, etc. In this case we chose categories based on the level of interest that we have in other professional. Example: Essential or mandatory, very important and important reading. Getting to know about the audience where they address that our communication is essential. And our content marketing strategy must be focused on generating content that these users demand. If not then well defined target could make the mistake of choosing an inappropriate form of communication from the company or choose a content strategy ineffective. It is very likely that you have ever attended a hangout, if not I recommend that you can live the experience in the first person, and thus able to see all the potential it offers, and you can apply to your business or brand. Post useful, fun or curiosity content which can be very effective for visits, engagement and increase our circles of people, but we must always do so in a consistent and coherent content, it is not like posting anything to see that it seems funny but should thought to be framed and under the strategy that we will use in Google+. But what content should we use? Using the browser and looking for professionals who know. Using the browser and searching topics. Viewing posts from people that we have added in our circles. Creating and enhancing a community of people. Improve organic visibility of the company. Create lasting relationships with other professionals. With this tool you can get the activity of the Google+ social network in a given period. We will see who are our most active users, as well as our most popular posts are, among other things. You can use this tool in the form of paid or free and you can analyze Google Plus and other social networks like Pinterest, Facebook or Twitter. As link your Google Plus account with Google searches. Know the quality of your post. Analyze each post individually to improve SEO. The communities in this network allow us to connect with other professionals in our industry and improve our personal branding . We should not hurry to create our own community and to be an action to think more long term and when we have a large enough community in our personal profile. The goal is to generate a community debetes and discussing interesting or featured content , but we must never fall into the spam for not having devoted a few minutes to read our community guidelines. It is important to know that a manager of a community we can report to Google, and if we put on a spam list, will not only affect our Google+ account but also affect our email, and this can be a big problem with communication with others via email. So, Read the rules of a Community Google+ and not make the mistake of spamming.